﻿The Shorthorn breed originated from England in the Durham Valley around 225 years ago. Accurate pedigree records go as far back as 1750. They quickly spread across Europe after making a name for themselves with respect to meat quality, milking ability, and maternal traits. Shorthorns can be acknowledged for being the foundation of many current breeds of cattle due to their prominence in early European agriculture. 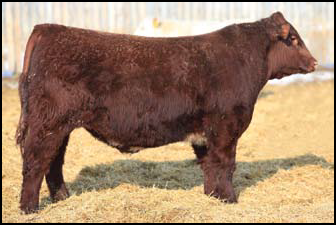 Characteristics of Shorthorns include docility, excellent marbling, desirable maternal traits (milking and mothering ability), tremendous cross-breeding potential, and great feed conversion performance. For a long time they were considered the optimum breed in Europe, and European settlers brought them to North America all through the 1800’s. 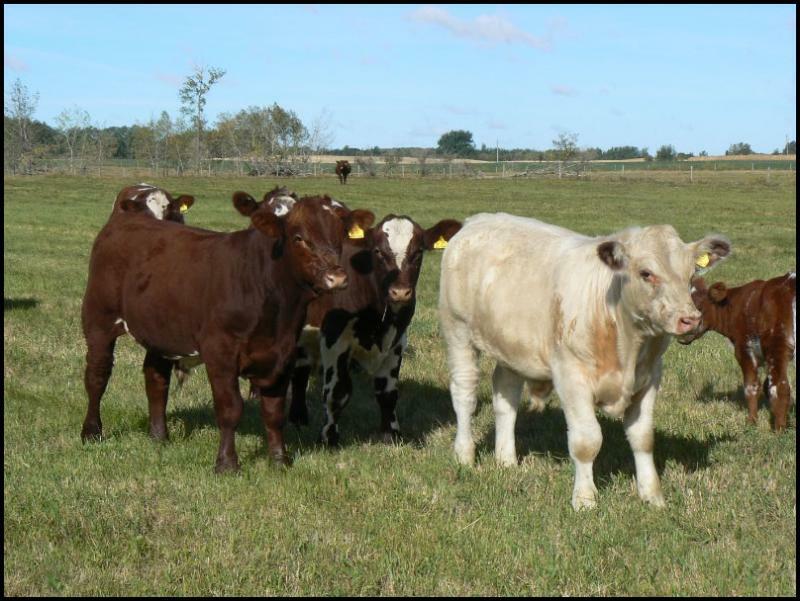 As we enter the 21st century, cattlemen are insisting on profitable, efficient, grading cattle, and Shorthorns can provide those genetics. A steer evaluation test in 1998-99 involved 300 head of Shorthorn and Shorthorn affluence steers, all fed in the same large pen, at Highland Feeders. These steers averaged 71% AAA grade, the first leaving the feed in March and the last in July﻿.